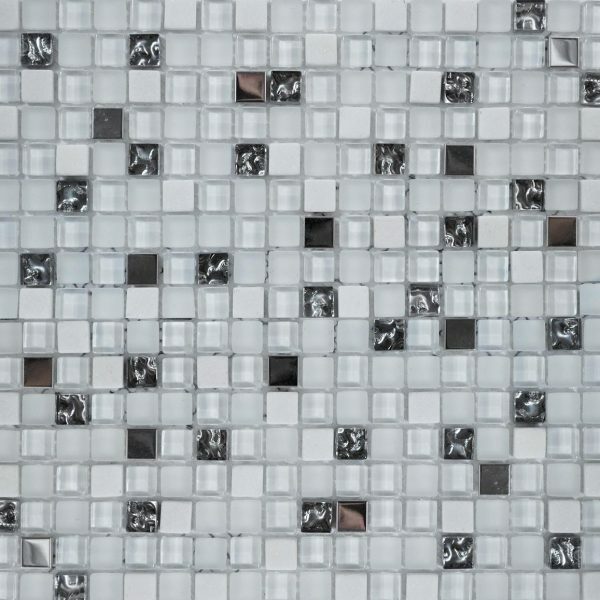 Behold the dazzling enchantment of our cool as ice mosaic tile. 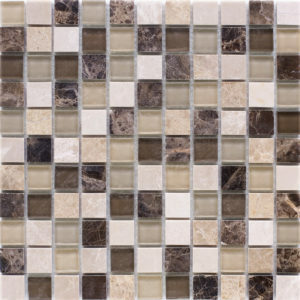 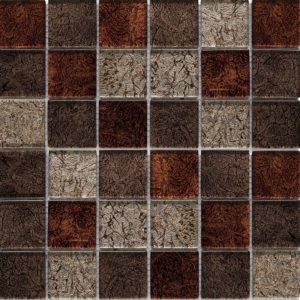 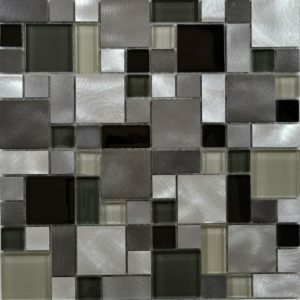 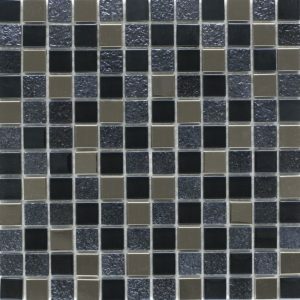 The crisp shades of white mixed chips together with the silver metal adds a clean appearance to this luxury mosaic and is the perfect option for that fresh feel on any kitchen backsplash, bathroom walls, shower walls, bath mirror deco, etc. 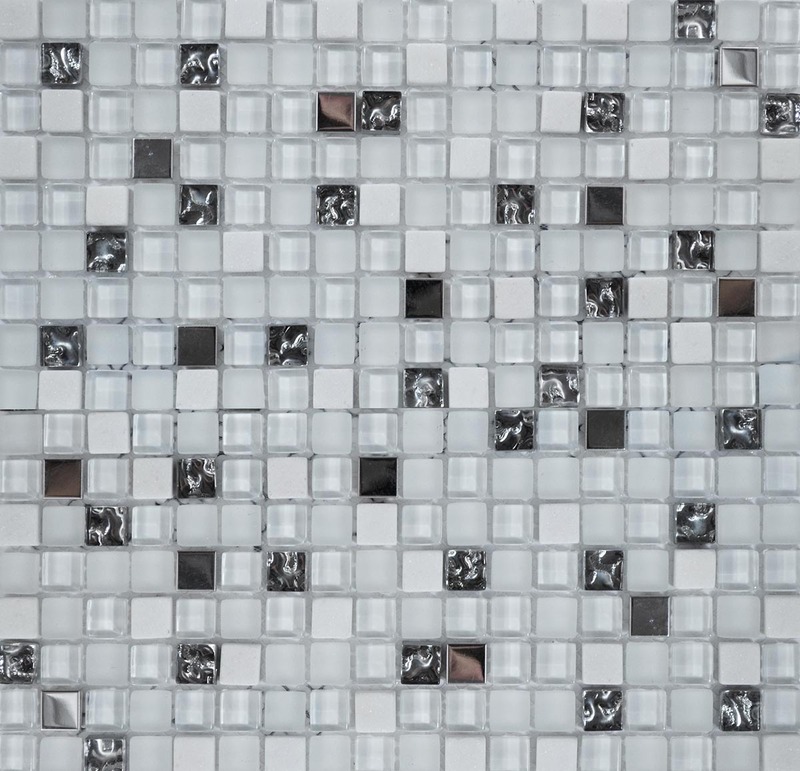 The mosaic sheets are mesh mounted that can be easily cut during installation.